"What do your children do with all that money?" people ask us when they see our "Service Opportunities Chart." Here is our answer! Our children are learning how to be good "employees" with "Service Opportunities." 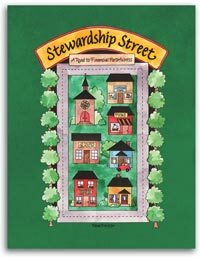 With "Stewardship Street," they are learning to be faithful stewards of their earnings. We divide earnings into 7 categories--living expenses (for clothes, etc. ), alms/charity, short-term savings, tithe, spending, long-term savings, and dowry. Each child has a "street" of milk carton savings "houses" and "stores" into which he deposits his earnings. 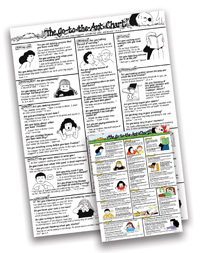 One of Our Most-used Resources! 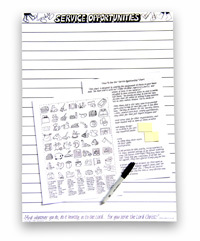 Although we chose to use envelopes rather than the milk boxes for space-saving purposes, the system outlined in this book is used/mentioned in our home DAILY! Not only are the children learning biblical habits and principles for working/serving/spending/giving/saving which will stay with them for the rest of their lives, but they are also preparing for their futures financially - for college, for future business ventures, and for marriage! Although they are pleased to use this system now, I believe that the real fruit and overflowing thankfulness will come years down the road! We have been using Stewardship Street for 8 years with our children. On the road to good stewardship, children create a street with milk carton buildings that are used to house their money/savings. Initially it is a fun project to create, adding to that the thoughtful discussion based on the perspective provided in the book, we also quickly realized how much our children were internalizing the biblical principles that are encouraged. Our older boys (now 14 and 12) have transitioned into an envelope system; however we prefer the categories/priorities as laid out in Stewardship Street and have maintained those in their new system. The boys' boxes have since been redecorated by their sisters (now 5 and 7) as we continue on this road of biblical stewardship.